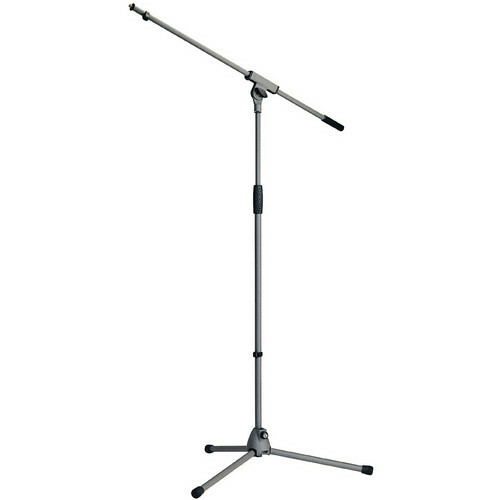 The KM21060 Microphone Boom Stan is adjustable in height, features a 31" (805mm) boom arm and K&M's soft-touch gray powder-coat finish. Its zinc die-cast metal base features folding legs. The stand is well suited for general sound reinforcement and studio recording microphone placement. Box Dimensions (LxWxH) 34.5 x 4.8 x 4.0"